TENA is the #1 selling incontinence product in the world. Many people automatically assume that when they are diagnosed with incontinence that they will have to settle for an awkward, ill-fitting, adult diaper. They resign themselves to never being able to use underwear that will comfortable again. The good news is that this is not true. Today, there is a wide variety of incontinence products that will allow incontinence sufferers to choose the incontinence underwear that works best for them. Men and women with incontinence can even choose from incontinence products for men and incontinence products for women which mean that you can end up with an incontinence undergarment that meets your specific needs. Best of all, these incontinence supplies can be bought from sites on the internet that offer adult incontinence products. Streamlined and compact-This means that those adults who choose to use adult diapers to help manage their incontinence can keep their active lifestyle. There is no need to worry about packing bulky adult diapers since today’s version will fit discreetly into a bag or even a pocket. Less bulky and made of smooth materials-This means that adults who choose to use adult diapers to help manage their incontinence can wear them under most types of normal clothing. You won’t have to dress to accommodate your adult diaper and you won’t have to worry about “rustling” as you move around. Highly absorbent-Not to long adult diapers were somewhat unreliable when it came to absorbency. Today, there are adult diapers that offer the highest level of protection and comfort. Have anti-odor properties-Manufacturers of incontinence products have built anti-odor properties into today’s adult diapers so you don’t have to worry about being embarrassed by the odors associated with incontinence. Are sized-At one time it was very difficult to find an adult diaper that fit either very small or very large people. Today, you can find the right size of adult diaper that fits you the best. This is crucial since fit plays an important part in how reliable an adult diaper is for incontinence protection. 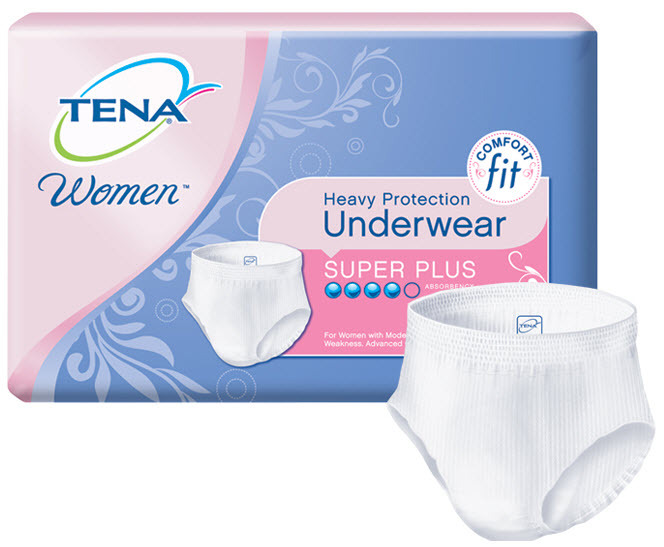 Tena serenity pads and Tena Adult diapers. All of these incontinence supplies have a high degree of absorbency and protection. Best of all you can find the style, size, and level of absorbency that you want to meet your needs when managing your incontinence. Tena also offers incontinence products for men and incontinence products for women which mean that you can find the adult diaper that will address the needs of your gender. In addition, the Tena incontinence product line offers a variety of other incontinence supplies such as incontinence bed pads to help protect bedding and other furniture. You can view the entire line of Tena adult diapers and other incontinence supplies online at sites that offer urinary incontinence products. This allows you to shop from the comfort and privacy of your home or office and have your purchases shipped directly to you. To see the entire line of products that are mentioned above please click on http://caregiverpartnership.com/landing/tena/. We all know that incontinence condition is quite embarrassing. Even men are also experiencing this condition. There are various of incontinence products available today. Buying incontinence products online is a great way to make huge savings. Just make sure the quality of the product.